Getting comfortable behind the wheel isn’t too tricky in any of our contenders, although each loses a star for one reason or another. 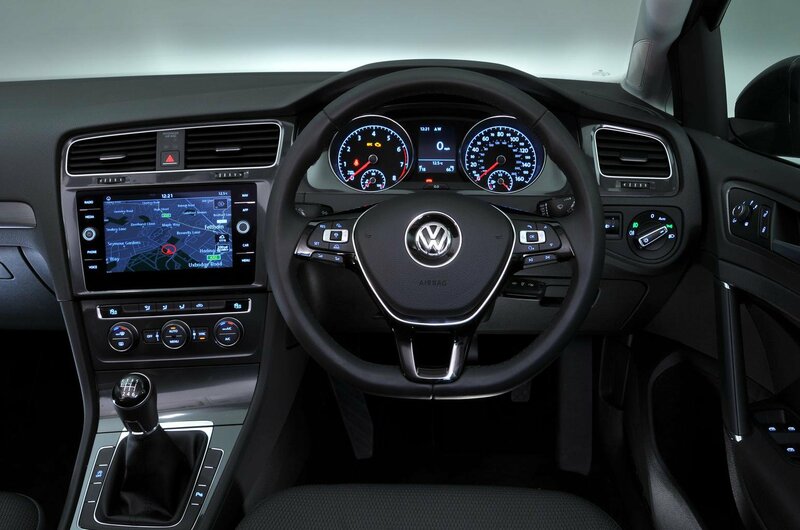 For example, in the Golf most taller drivers will wish their seat dropped a little lower, and the sides of the seat could do with more support to hold you in place when cornering. The A3’s sports seats provide much better lateral support and drop lower into the car, but you have to pay extra for adjustable lumbar support, which is standard on the Civic and Golf. And the Civic’s problem? Well, that coupé-like rear styling doesn’t exactly aid over-the-shoulder visibility, although you at least get a reversing camera as standard to help mitigate this. If interior quality is high on your list of priorities, the A3 might seduce you into signing the cheque before you’ve even gone for a test drive. It looks and feels like a £35,000 executive car inside, from the plushness of the materials to the solidness of all the switches. 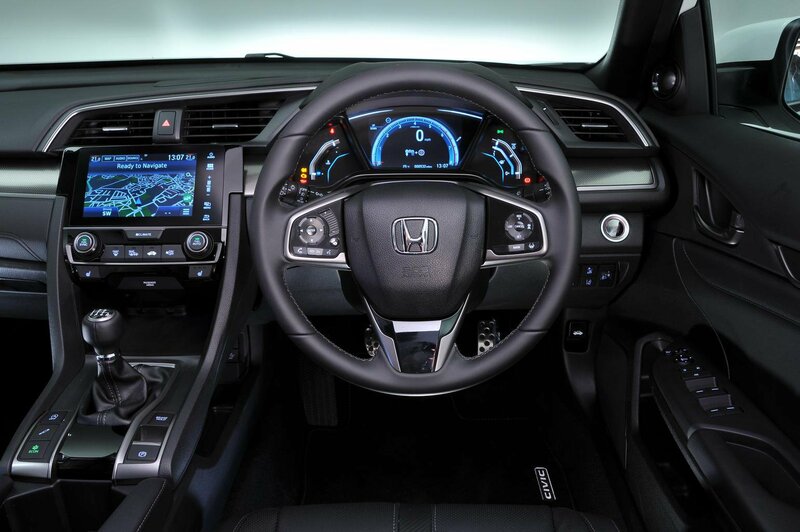 There aren’t as many soft-touch plastics in the Civic, but its interior feels really well screwed together and the rotary controls for the climate control are pleasingly weighty and click reassuringly when you twist them. The Golf’s air-con controls, meanwhile, actually feel a bit cheap and plasticky, but in other respects it just edges the Civic, thanks to its denser-feeling dashboard and the finer-grain leather covering its steering wheel.